Does it bug you that no one notices or appreciates your effort? 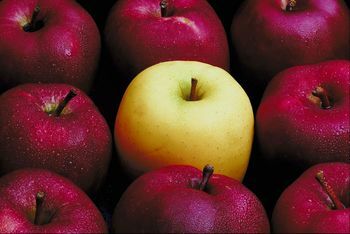 If YES, it’s time for you to stand out-to become noticed so you can get ahead. If NO, congratulations. You already stand out. Now you’re in a position to help a colleague do the same. And by the way, you can always do more to stand out! Adopt new strategies to help you stand out at work from now until the end of the year. Do more than you’re asked to do. Be curious. Ask questions to learn how and why. Build relationships with customers and stakeholders. Maintain a consistent, positive, can-do, will-do attitude. Be a great team player. Fully support everyone on the team. Seek and embrace change. Be creative and innovative. Show up early, leave late. Your dedication will be noticed. All of these standout tips can be summarized into one: demonstrate exceptional leadership. Do them to stand out among your peers. And when you decide to move on, you’ll find that most organizations seek to hire exceptional leaders. Why not you?